I hope you are all doing well and are having a wonderful start to the week. First things first, Happy Halloween! 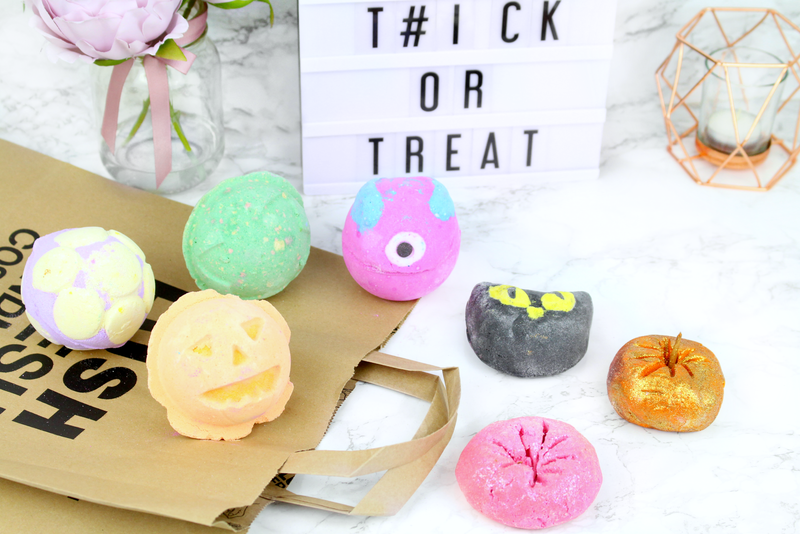 I thought what better day to share a Halloween Lush haul than on Halloween itself! The clocks went back over the weekend which means autumn and winter is officially here - more cosy nights and bubble baths are on the cards! A few weeks ago I stopped by my local Lush store and I went a little crazy, I have a YouTube video coming soon which will explain everything but I'm honestly still shooketh to the core! If you have been reading my blog for quite some time then you will know that it's no secret that I absolutely adore them as a brand. Everything from their ethos, product range, limited edition collections and so much more - they really are my guilty pleasure. Whilst I was there I picked up a handful of products from the Halloween collection and I thought I would share them with you today. I hope you are all doing well and are having a wonderful start to the weekend. This week it felt as if we had finally started transitioning into the Autumn season and it honestly started to make me feel so excited for the final few months of 2017. I'm not really season bias because there are things I absolutely adore about them all, however, there is just something so satisfying about crisp Autumn mornings, the change in the colour palette, layering up with cosy clothes, drinking copious amounts of hot chocolate and much more. So, in honour of Autumn and also in honour of taking my blog into the fashion realm I thought I would share with you an Autumn outfit of the day in collaboration with Bodyform.